Detailed Description: Carlon Schedule 40 Standard radius 45 deg rigid non-metallic elbow in gray color has a tread size of 4 inches. 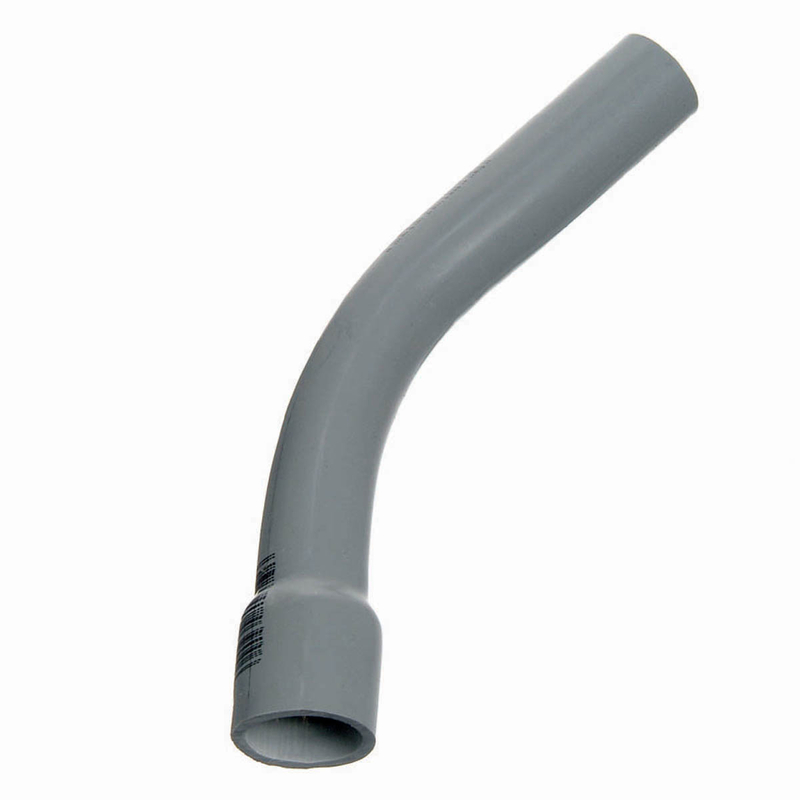 It features a corrosion resistant PVC construction for more durability. It is ideal for using with rigid non-metallic solvent weld fittings. Elbow with Belled end can be easily installed and offers resistance to rust/corrode or sunlight. It measures 4.476 - 4.506 Inch inner diameter x 4.465 - 4.565 Inch outer diameter. Elbow is UL listed.